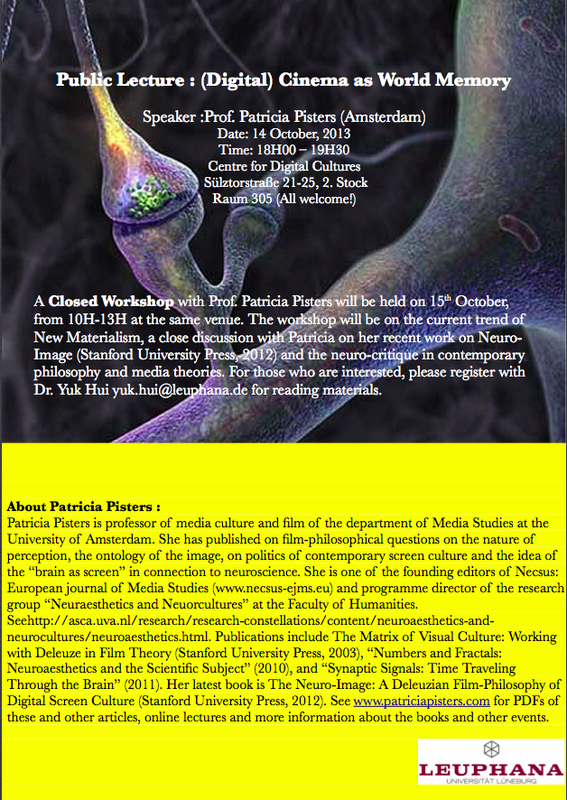 A Closed Workshop with Prof. Patricia Pisters will be held on 15th October, from 10H-13H at the same venue. 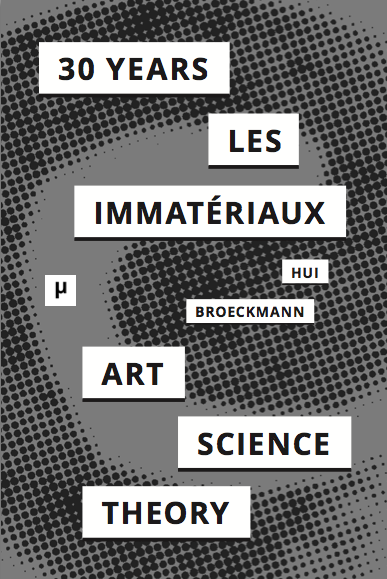 The workshop will be on the current trend of New Materialism, a close discussion with Patricia on her recent work on Neuro-Image (Stanford University Press, 2012) and the neuro-critique in contemporary philosophy and media theories. For those who are interested, please register with Dr. Yuk Hui yuk.hui[a]leuphana.de for reading materials. Patricia Pisters is professor of media culture and film of the department of Media Studies at the University of Amsterdam. She has published on film-philosophical questions on the nature of perception, the ontology of the image, on politics of contemporary screen culture and the idea of the “brain as screen” in connection to neuroscience. 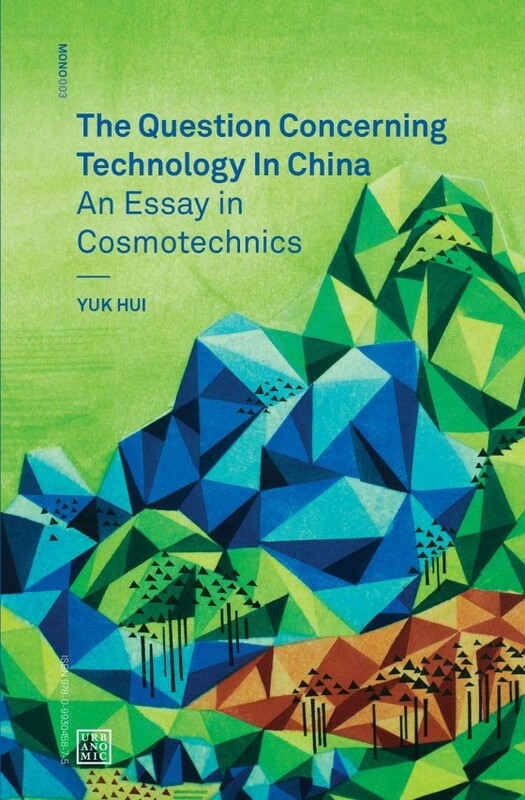 She is one of the founding editors of Necsus: European journal of Media Studies (www.necsus-ejms.eu) and programme director of the research group “Neuraesthetics and Neuorcultures” at the Faculty of Humanities. 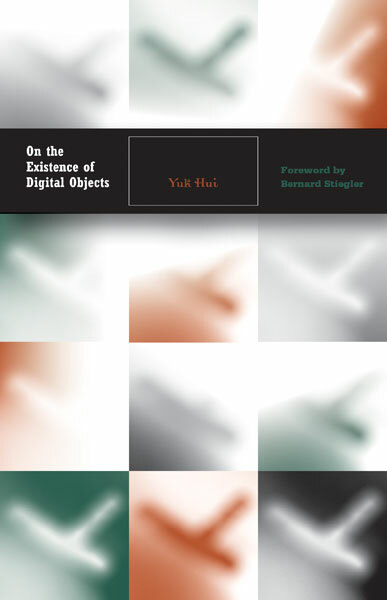 Seehttp://asca.uva.nl/research/research-constellations/content/neuroaesthetics-and- neurocultures/neuroaesthetics.html. Publications include The Matrix of Visual Culture: Working with Deleuze in Film Theory (Stanford University Press, 2003), “Numbers and Fractals: Neuroaesthetics and the Scientific Subject” (2010), and “Synaptic Signals: Time Traveling Through the Brain” (2011). Her latest book is The Neuro-Image: A Deleuzian Film-Philosophy of Digital Screen Culture (Stanford University Press, 2012). See www.patriciapisters.com for PDFs of these and other articles, online lectures and more information about the books and other events.